Summary: Of all the signs He could have worked, Jesus chose His first to be changing water into wine at a wedding in Cana. He didn’t heal someone lame, sick, or blind. He didn’t cast out a demon. He didn’t raise someone from the dead. Instead, He prolonged a party and spared a Galilean gentleman the shame of shorting his guests’ wedding wine. When the Pharisees would later ask Him why His disciples didn’t fast, He replied, “Can the wedding guests fast while the bridegroom is with them? As long as they have the bridegroom with them, they cannot fast. 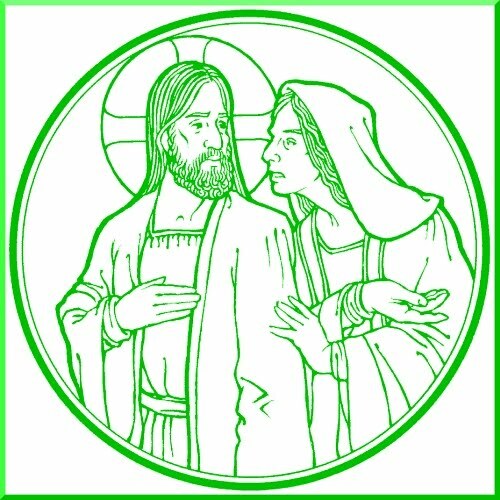 (Mark 2:19)” Even as He was helping Cana’s bridegroom with the festivities, Jesus was also beginning to reveal Himself as the heavenly Bridegroom, come to cleanse and claim His bride the Church. If you observe Jesus’ other signs and miracles, you notice various Old Testament direct prophecies and types being fulfilled. Along with the subtle reference to God’s “marriage” with His people, could Jesus have been fulfilling a specific prophecy? Perhaps this sign announced Him as Judah’ heir (cf. Genesis 49:3-12), claiming the prophesied scepter and ruling staff by making wine flow so abundantly that even most impoverished vine grower could afford to tie his donkey to his grapevines without risking ruin. 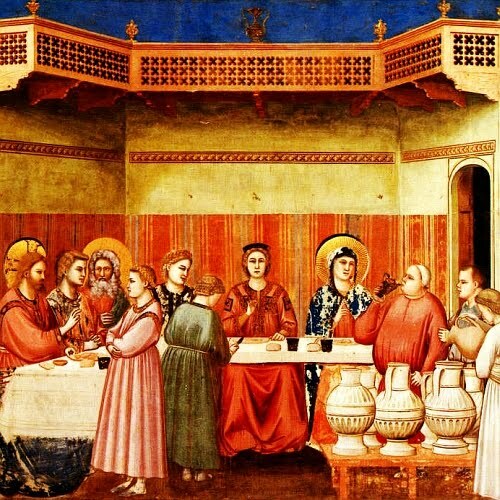 Audio: Click to hear the MP3 of The Wedding Feast Begins.